Android Reverse Tethering is a small utility for Windows which allows Android devices to use the connection of a PC via USB cable. 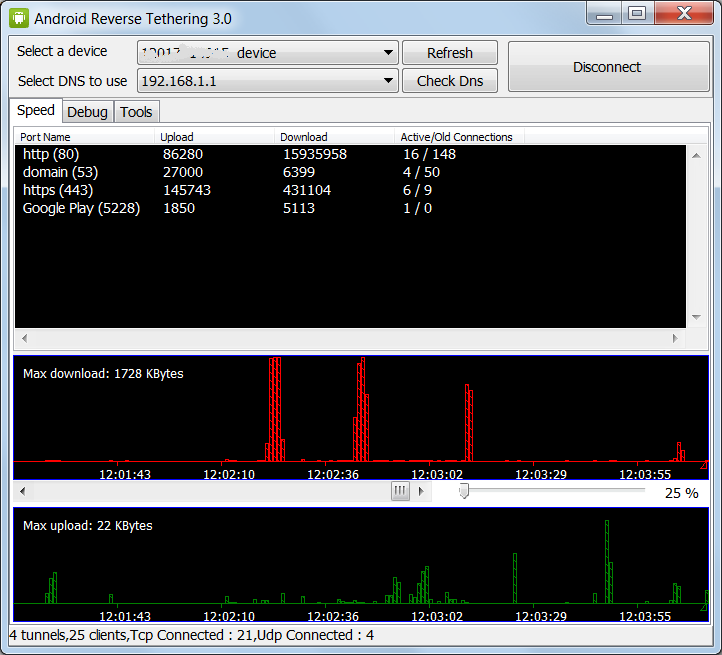 Once you have USB debugging setup, using Android Reverse Tethering is easy. From your phone or tablet, make sure you allow access from your Windows PC. Click the "Connect" button and Android Reverse Tethering should do the rest. A progress box will pop up checking the device, Android package version, starting the Android service and preparing the connection. ADB is required, but included in this application if you don't have it installed. In a nutshell: Android Reverse Tethering can share your PC Internet connection with your phone or tablet over a USB cable connection.